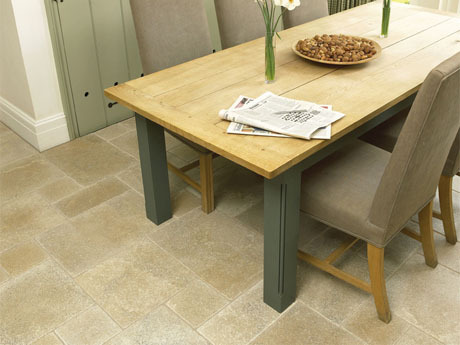 Natural Limestone, Floor and Wall Tiles are hardwearing and ideal for use in any home. Contact us today about any of our range of tiles on UK+44 (0)7799115666 or email us. 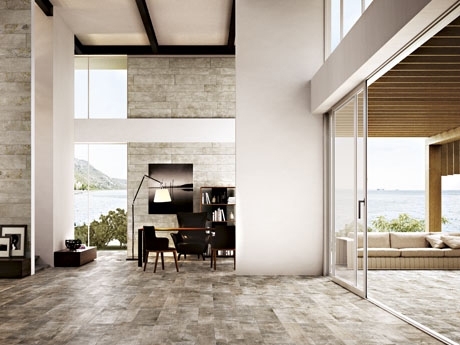 At Dream Tiles, we like to showcase the very best in porcelain floor tiles. 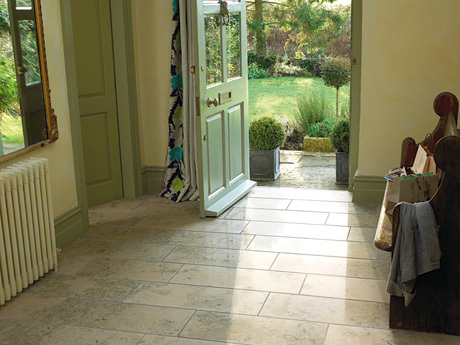 The "New Zealand Range" from Dream Tiles supplied from Classical Flagstones is no exception! 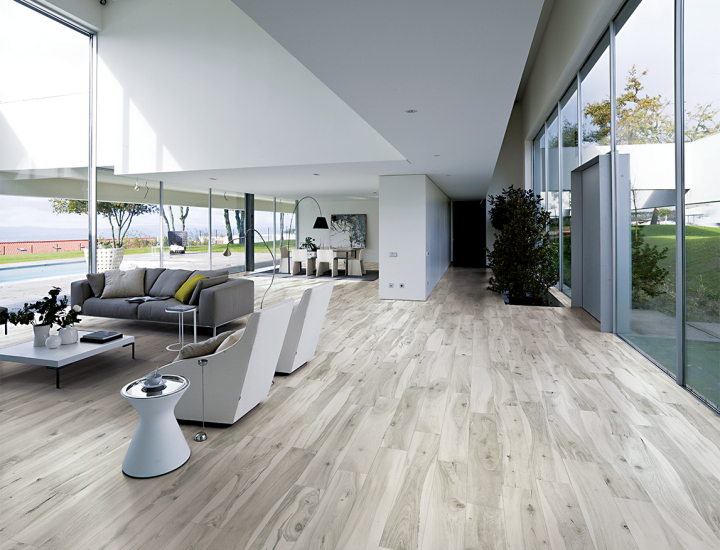 Its vibrant Blue Tasman, oak-limed effect will look great in any living space, while Italian HD technology with grain textured wood finish, double-fired, makes this full-bodied porcelain suitable for both internal and external use. It comes in six colours in both natural and Lappato finish. 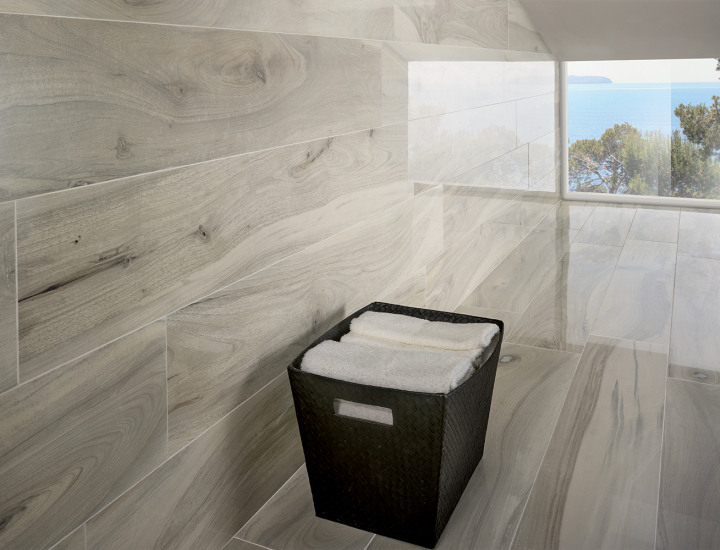 Aegean Natural Limestone tiles are supplied in a Roman Opus pattern which contains a variety of tile sizes. 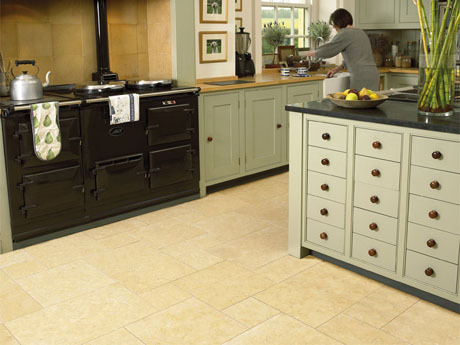 These stone floor tiles have a thickness of 10mm which makes them suitable for domestic and light commercial use. 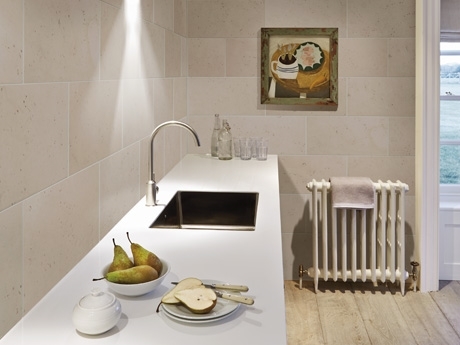 Balletto White Honed Limestone is supplied in a 600mm x 300mm tile and has a thickness of 10mm. Balletto White Honed Limestone are suitable for a range of applications and are specifically ideal for a la mode kitchens and bathrooms. Barancos Blue Honed limestone is supplied in either a 600mm x 300mm tile with a 10mm thickness or a 600mm x 600mm tile with a 15mm thickness. They are suitable for a wide range of applications including walls and floors. Cathedral Limestone tiles are 20mm thick, are very versatile and hard-wearing and can be used in domestic and commercial applications as well as outside. 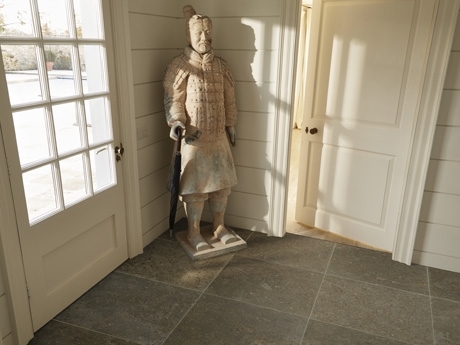 Chenzira Natural Stone tiles are a premium quality natural limestone, 10mm thick, making them both strong and durable and suitable for conservatories, hallways and kitchen flooring. Glendale Antiqued Limestone displays distinctive colour variation from stone to stone and is available in a 400mm x freelength size and is 15mm thick. It is ideal for use on floors and is suitable for domestic and light commercial use. Jerusalem Gold is supplied in a range of thicknesses and is suitable for domestic and light commercial use. 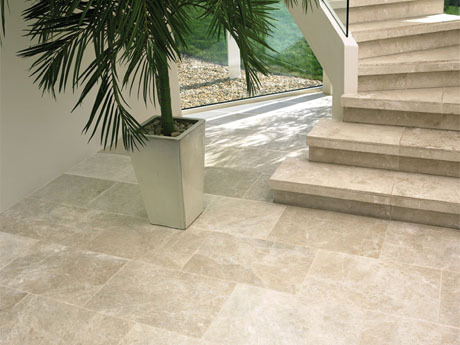 The versatility of these internal limestone tiles makes them suitable for a range of applications including conservatories, hallways and kitchen floors. 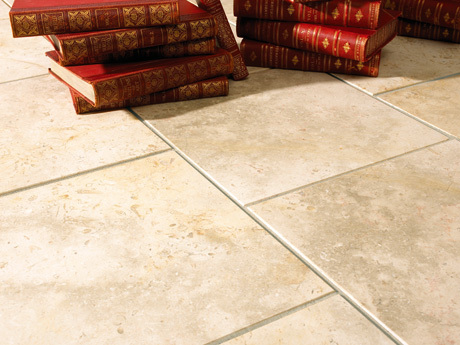 Our Jerusalem Grey Gold Limestone tiles are similar in style to Jerusalem Gold, but include darker tones. These 12mm thick floor tiles are supplied in a 4 to 5 stone size random ‘Roman Opus’ pattern making them suitable for domestic and light commercial use. 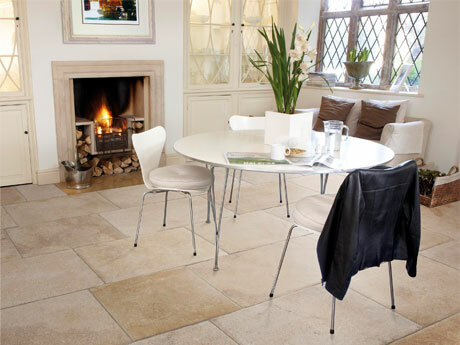 Jura Limestone tiles suit areas of particularly heavy traffic including hallways, dining rooms and kitchen floors. 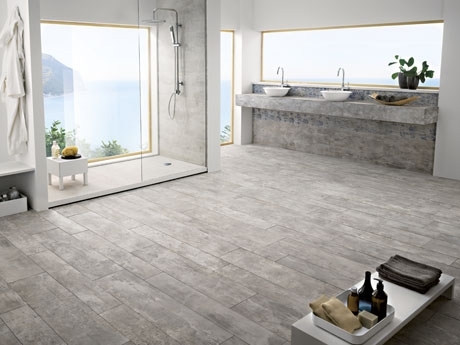 Available in a 10mm thickness, these tiles are suitable for both domestic and commercial applications. 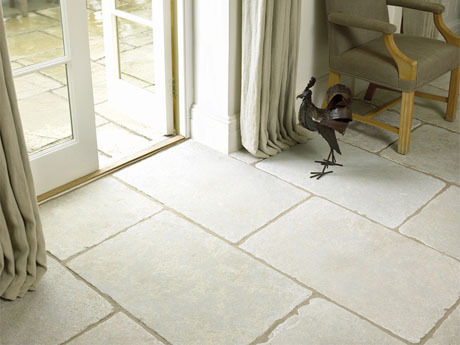 Jura Grey Limestone tiles suit areas of particularly heavy traffic including hallways, kitchens and conservatory floors. 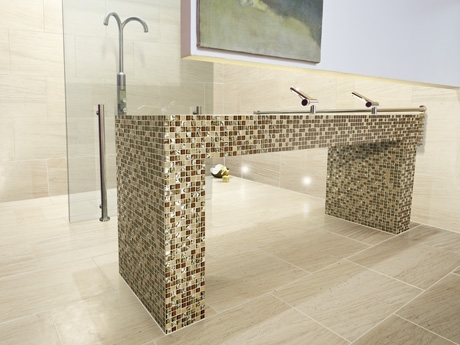 The tile’s 10mm thickness makes it suitable for commercial and domestic applications. 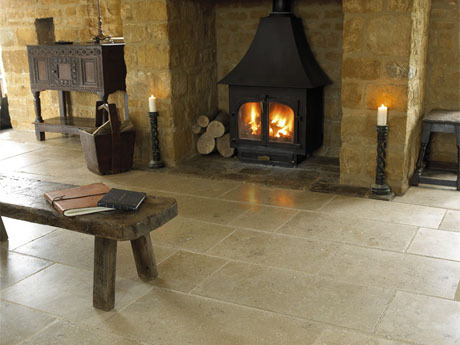 The Layton Coombe Antiqued Limestone is a neutral colour which is subtle and contemporary and suitable for use on floors for domestic and light commercial use. 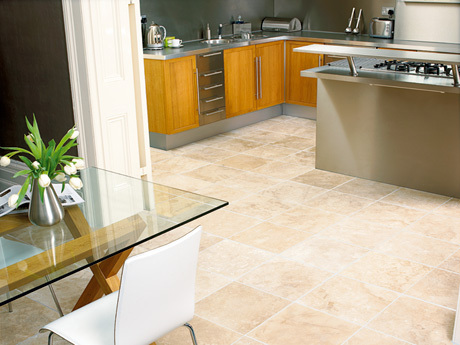 Layton Coombe limestone is available in a 400mm x freelength length and has a thickness of 15mm. Minister Antique Stone Tiles are a distinctive premium quality limestone which has chipped edges and has been tumbled to give it a heavy aged appearance. The 20mm thickness of this limestone floor tile makes it strong and durable and suitable for domestic and light commercial use. 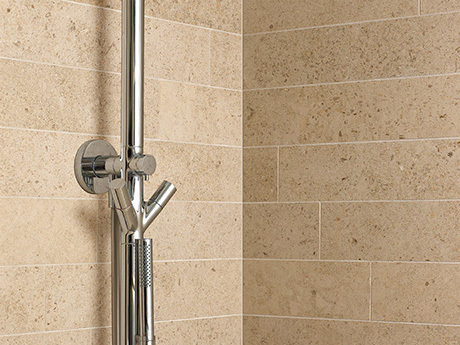 With a tile thickness of 10mm, Moleanos Beige Limestone tiles can be used to dramatic effect on both walls and floors and are ideal for use in many projects including bathrooms, wetrooms, showers and kitchens. Nazzano Honed Limestone is suitable for a range of applications, making it ideal for floors and walls as well as wet rooms. Nazzano Honed Limestone is available in either a 600mm x 300mm tile with a thickness of 10mm or a 600mm x 600mm tile with a 15mm thickness. 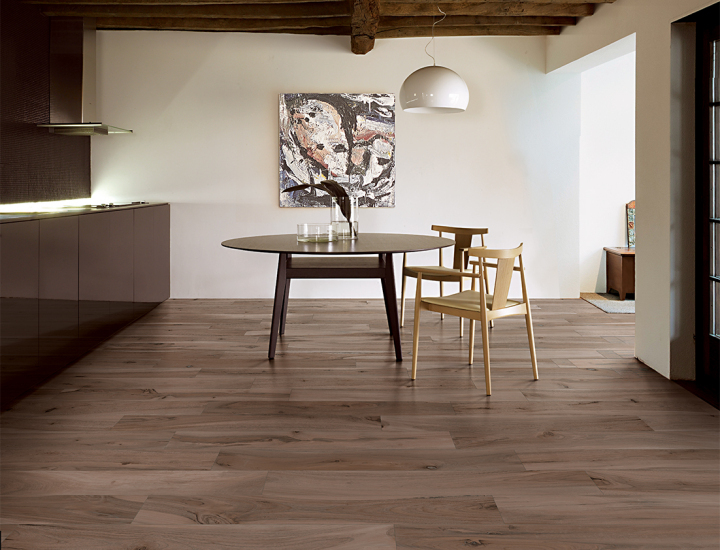 Perpignan is characterised by a variety of warm caramel, beige and gold colours and has an ageless rustic feel. 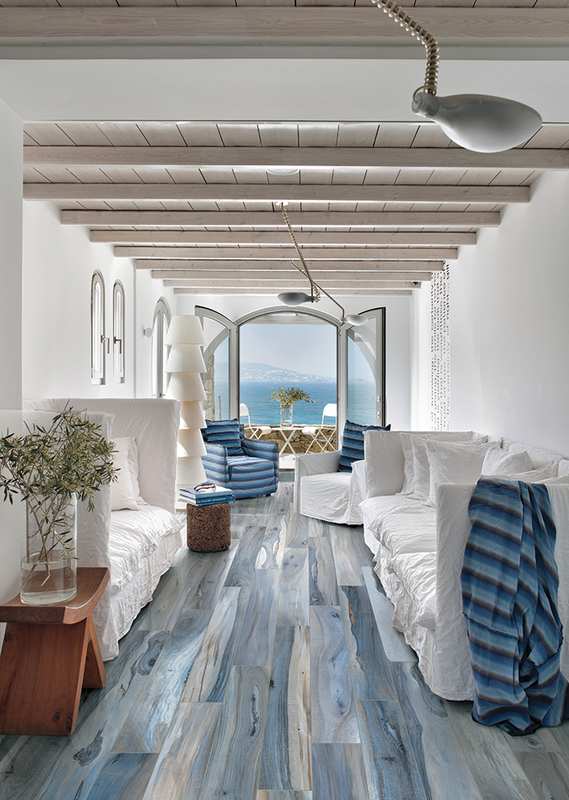 It makes a stunning and unique floor within the home. The Perpignan comes in size 560 x free length with a thickness of 20 mm. 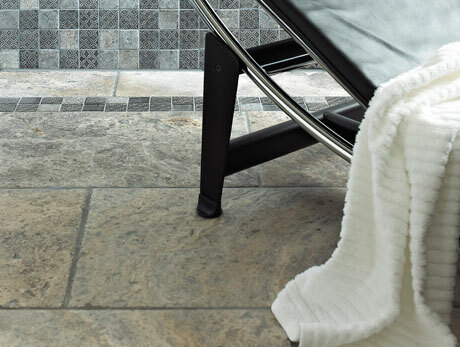 Rosetta Grey compliments a variety of mosaics making it extremely versatile. All tiles offer a 10mm thickness, a Brushed finish is available in a 100 x freelength and a 600 x 300 mm tile, whilst the Polished finish is available in a 600 x 300mm tile. 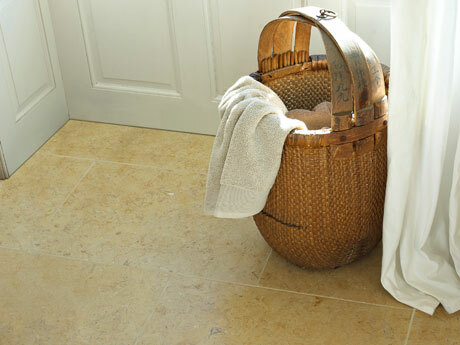 Safiya Limestone floor tiles are a premium quality limestone product with warm gold to yellow tones. The thickness of each interior stone tile is 10mm which makes them both strong and durable and suitable for domestic and light commercial use. 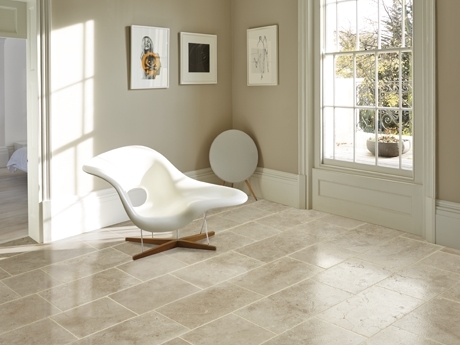 The Santa Anna Natural Limestone tile is a pale cream, premium quality limestone which has sumptuous waves of beige and grey. 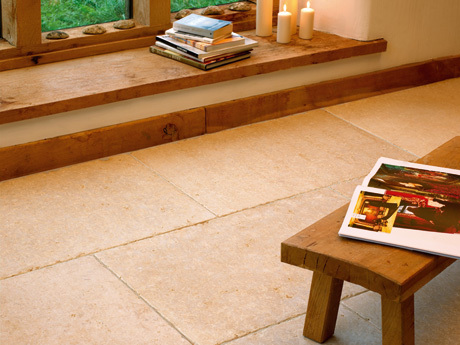 This natural limestone tile is 12mm thick which makes it suitable for domestic and light commercial use. 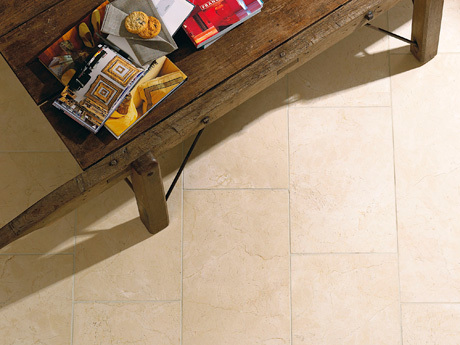 Santa Capa Honed Limestone tiles are suitable for a range of applications including floors and walls. Santa Capa Honed is available in a tile size of 600mm x 300mm and has a thickness of 10mm. St Benedict Antique stone is supplied in either a 400 mm or 600 mm standard width with freelength format which results in a subtle, but stylish random pattern when laid. 20mm thick, it is suitable for domestic and light commercial use. Thala Cream Limestone is a premium quality Egyptian natural limestone which offers uniform hues of cream to light beige. 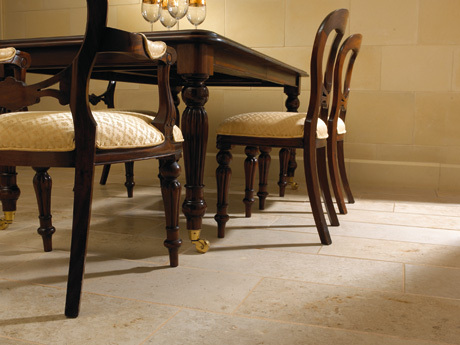 Tulum Gold Limestone tiles are a brushed limestone floor tile. 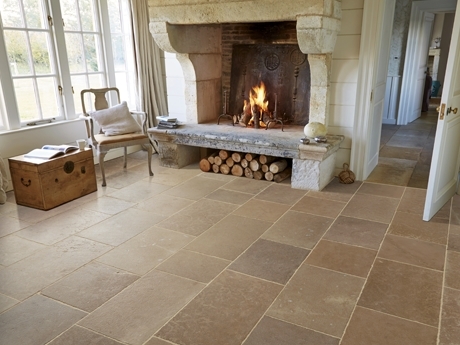 Classical Flagstones Tulum Gold Limestone Tiles are available in 600 mm x 400 mm with a 10mm thickness. 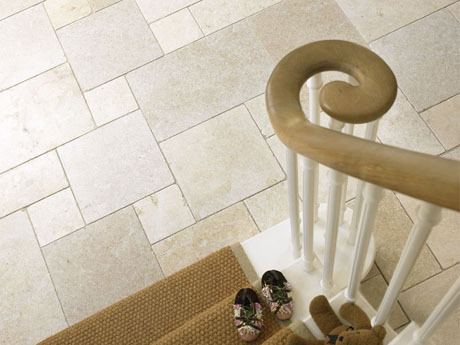 Ivory Travertine tiles come in a range of sizes including a 4-stone random Opus pattern pack. 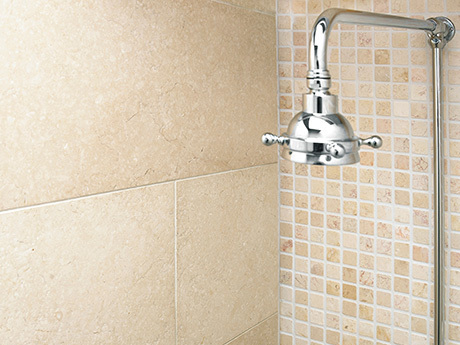 This tile’s 12mm thickness makes it suitable for use as both a wall and floor tile. 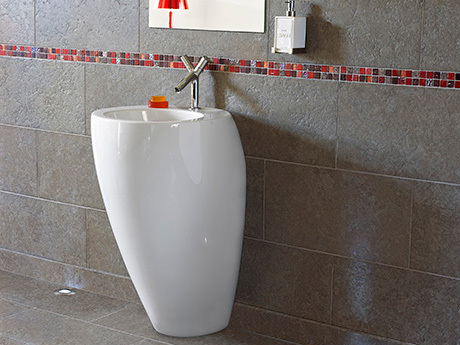 Applications range from kitchen to bathroom floors and walls. 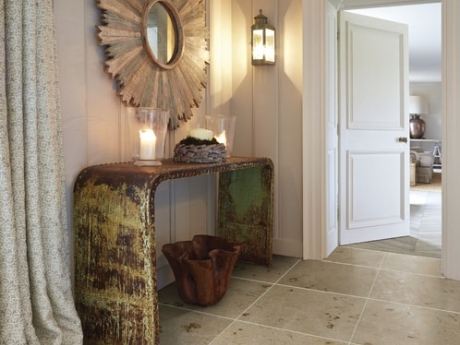 Silver Travertine Limestone tiles are suitable for both flooring and walling applications. This tile is available in 610 x 406 mm and also the Opus pack, giving you the opportunity to lay these travertine tiles in a random, 5-stone pattern. 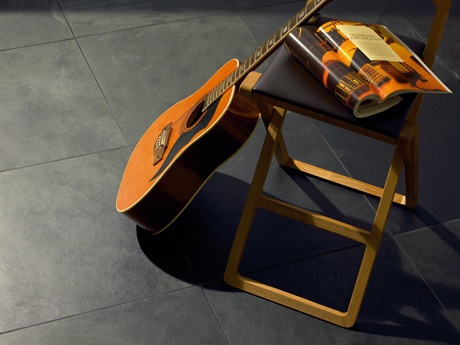 Two thicknesses are available in the Nero Natural Slate Tile Range (10mm and 15mm), making this slate suitable for both domestic and commercial use. 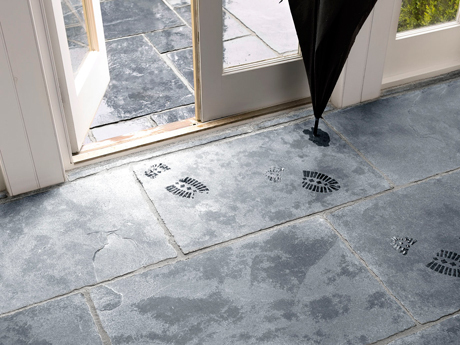 These slate tiles are calibrated, thus ensuring an even thickness to aid accurate and quick laying (+– 2mm). 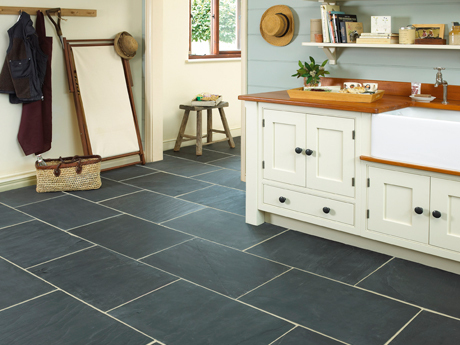 Classical Rustic Black Slate Tiles have a marked riven surface, creating a rustic charm. These tiles are readily available in a variety of sizes including the Classical 3-Way Opus pattern. 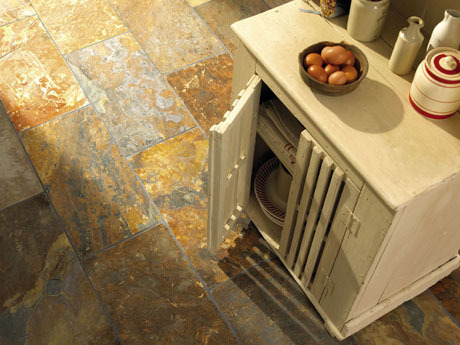 Classical Rustic Multi Slate tiles have a rustic charm and possess a variety of striking colours from greens to oranges. These tiles are readily available in a variety of sizes including the Classical 3-Way Opus pattern. The Cantarini Polished Marble tile is sourced from Portugal and is suitable for use in a range of applications including floors and walls. 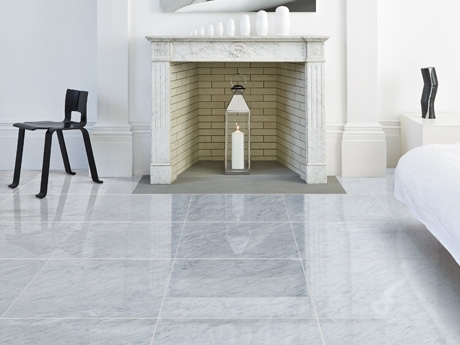 The Cantarini Polished Marble tile is available to order in either a 600mm x 400mm tile with a 10mm thickness or a 600mm x 600mm tile with a 20mm thickness. This iconic Carrara Polished Marble is sourced from Italy and can be used in many applications. It is perfect for use at home in a contemporary setting. Carrara Polished Marble is available in two different tile sizes - 610mm x 305mm and 610mm x 610mm - both with a thickness of 10mm. Crema Marfil is a classic Spanish marble tile from the Alicante region of Spain.These particular tiles have a honed finish in a variety of sizes for both floors and walls. 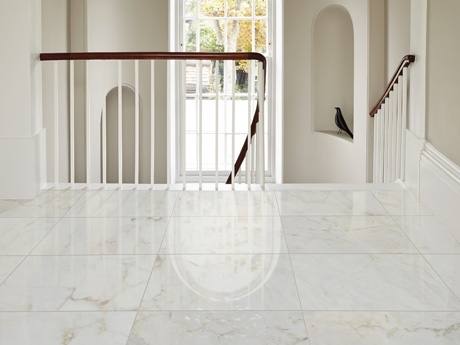 At home in a kitchen, bathroom, hallway or conservatory, this versatile marble is suitable for many applications, domestic or commercial. 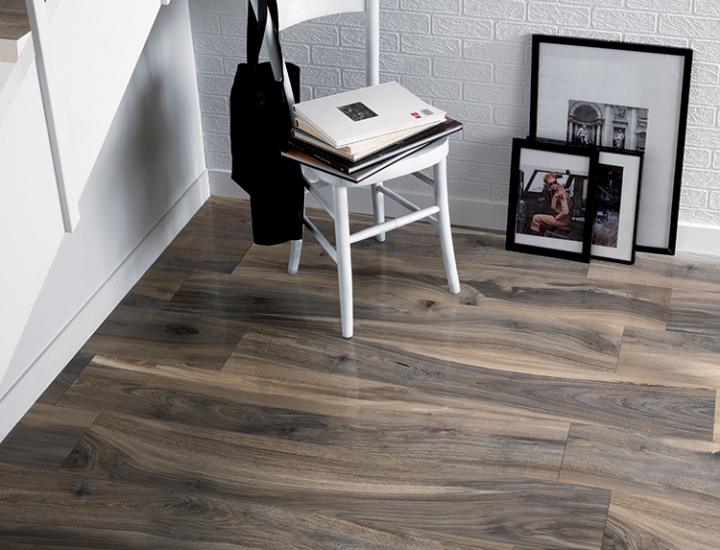 This pale grey Driftwood Antigua Wood Effect Porcelain Tile, with a natural finish, is available in various sizes and is suitable for use on floors and walls to create modern and contemporary spaces. 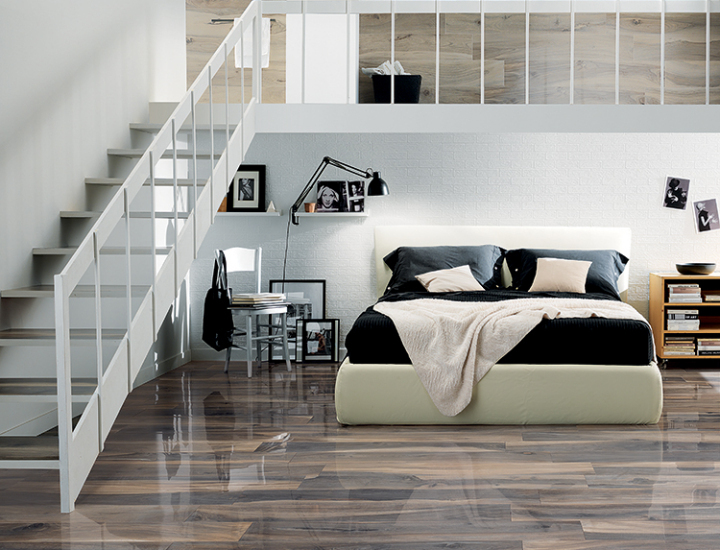 All Driftwood Antigua Wood Effect Porcelain Tiles are 10.5mm thick. 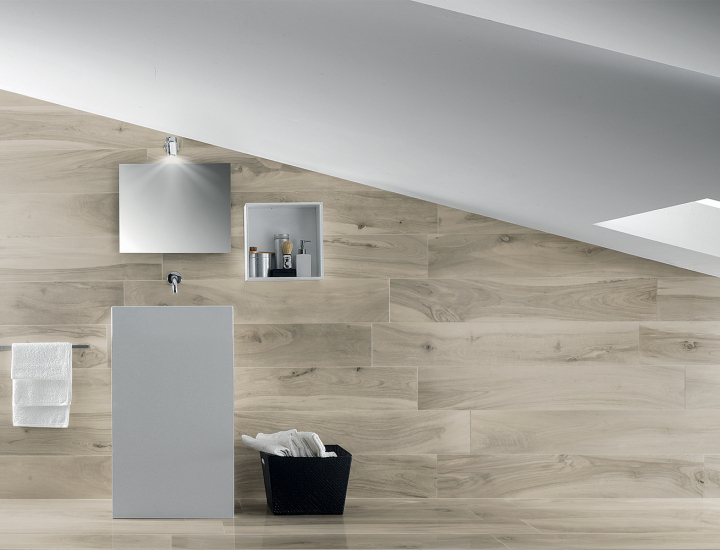 The Driftwood Bahamas Wood Effect tile is a light grey Wood Effect Porcelain Tile with a natural finish available in various sizes and suitable for use on floors and walls to create modern and sophisticated spaces. 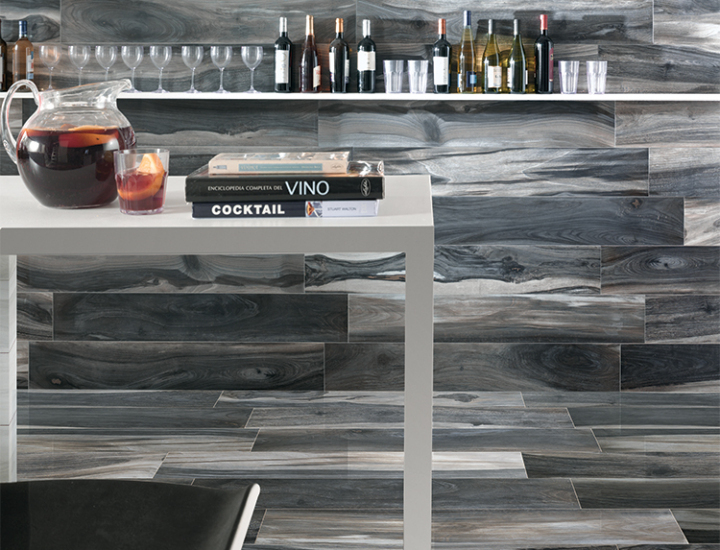 All Driftwood Bahamas Wood Effect Porcelain Tiles are 10.5mm thick. 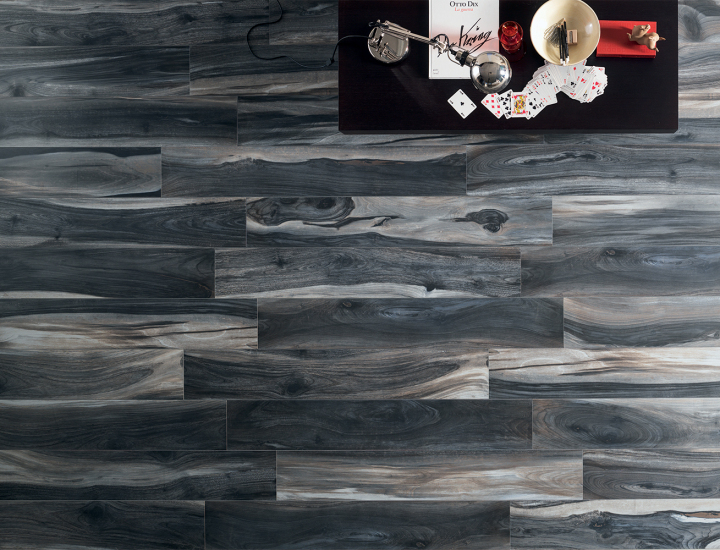 Driftwood Curacao Wood Effect Porcelain Tiles with a natural finish featuring a variation of grey colours and hints of black are available in various sizes and are suitable for use on floors and walls to create an ultra modern space. 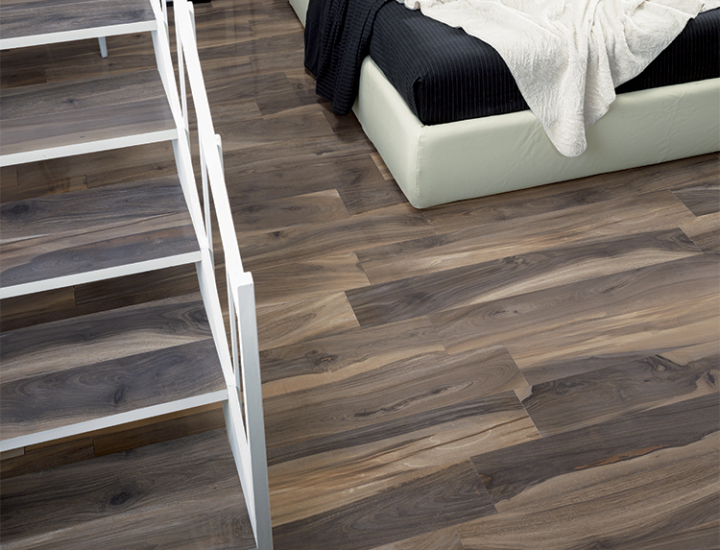 All Driftwood Curacao Wood Effect Porcelain Tiles are 10.5mm thick. Driftwood Nassau Wood Effect Porcelain Tiles with a natural finish available in various sizes and suitable for use on floors and walls to create a unique and contemporary space. 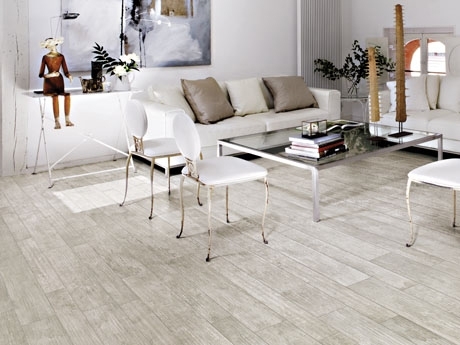 All Driftwood Nassau Wood Effect Porcelain Tiles are 10.5mm thick. 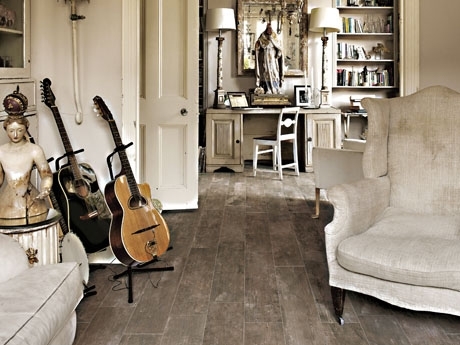 Driftwood Port Royal Wood Effect Porcelain Tiles with a variation of colours from warm grey to brown with a natural finish are available in various sizes and are suitable for use on floors and walls to create modern and contemporary spaces. 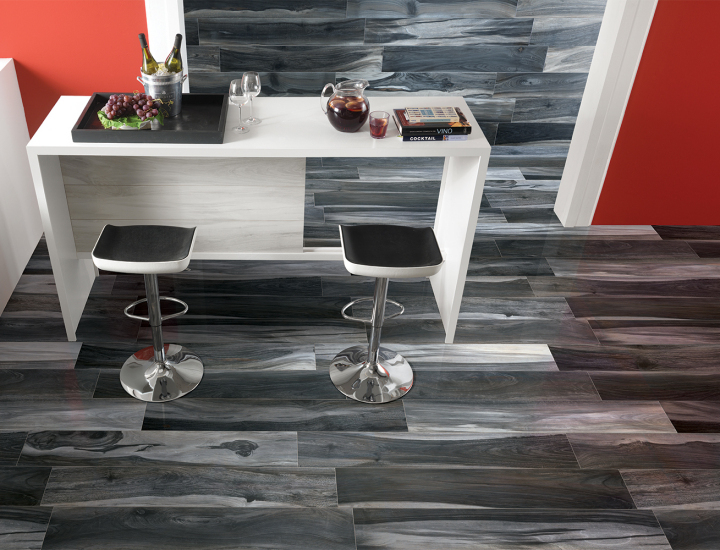 All Driftwood Port Royal Wood Effect Porcelain Tiles are 10.5mm thick. 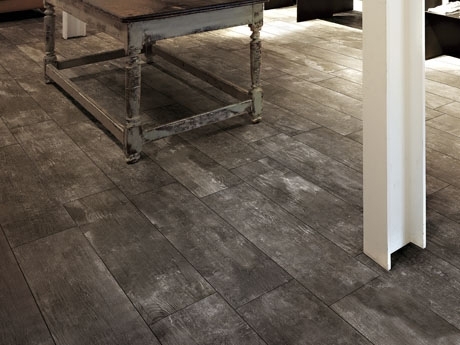 Driftwood Tortuga Wood Effect Porcelain Tiles are available in various sizes and are suitable for use on floors and walls to create a modern and striking look. 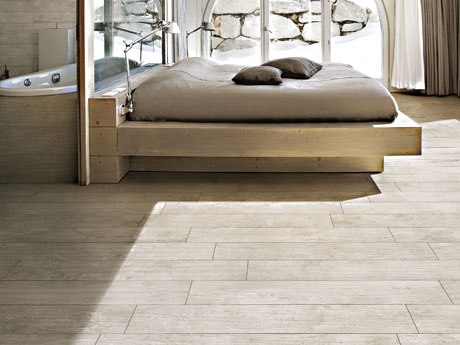 All Driftwood Tortuga Wood Effect Porcelain Tiles are 10.5mm thick.